We at Limotek.co.uk understand that this day is a very sad day for you your family and friends, and therefore realise that it is vital that the day goes smoothly with little effort involved as you'll have plenty of other things to arrange. We'll make sure this day goes as well as possible by offering a high quality of service and some beautiful vehicles. 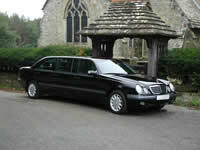 We have all types of limousines to suit your needs. There are many observances connected with death and burial and such observances are a distinctive human characteristic. Not only are they deeply associated with religious beliefs about the nature of death and the existence of an afterlife, but they also have important psychological, sociological, and symbolic functions for the survivors. Thus, the study of the ways in which the dead are treated in different cultures leads to a better understanding of the many diverse views about death and dying, as well as of human nature. Funerary rites and customs are concerned not only with the preparation and disposal of the body, but also with the well-being of the survivors and with the persistence of the spirit or memory of the deceased. Limotek.co.uk are here to help make things easy and extra special as we have access to a vast number of limousines from standard Stretch Lincoln limousines, Hummer limos, Range Rover Sport limousines, Porsche Cayennes, Ford Excursion limousine hire, Lincoln Navigators, BMW X5 limos, Jeep Expeditions, Chrysler C300 limo hire and even the new Audi Q7 limousines. Memorial service limousine hire can be used with our chauffeur services as we have access to over 300 vehicles all over the UK. Our limousines also come in vast array of colours such as the standard black but also pink, silver, white, gold, red and even orange; so the choice is entirely up to you whatever your custom or faith. Please be aware that limousine hire for a funeral can be expensive, as all limousines are hired on a first come first serve basis. This means you should contact us as soon as you are ready to book as we are more likely to get you a cheaper price.